"PGA Merchandise Show for Education Conference"
PGA Merchandise Show for Education Conference. The show includes exhibitors representing multiple golf industry divisions. The exhibition involves discussions and debates for solving various issues and business meetings and aims at solving the queries of business firms and providing them with a comfortable ambiance for business meetings and golf sessions. Open only for qualified golf industry professionals, the visitors can also attend the world's largest outdoor event day and experience a quality golfing time with their business partners, experience revolutionized sessions and seminars conducted by golf professionals from different parts of the world. This was my first PGA golf trade show, I was thoroughly impressed. Looking forward to next year. A lot , ex. upcoming 3D-4D in reasonable prices. It was my first time attending the PGA Merchandise Show. It gave me the opportunity to see many different items and marketing companies and what they brought with them. From apparel, to all of the new technology that has come to light. 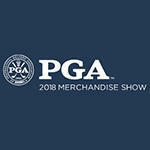 PGA Merchandise Show draws in more than 1000 professional exhibitors from the golf sector, looking to gain greater visibility for golf products, accessories and services to the visitors attending the show. Prime items of exhibit at the show include golf apparel and equipments, together with a large number of other related golfing products. Golf facilities are also showcased during the event. Top companies come to exhibit at the show, including Ace Golf Netting and Artigo Publishing International. Quality Inn At International Dr..
Days Inn by Wyndham Orlando Con..
La Quinta Inn by Wyndham Orland..
Holiday Inn & Suites Orlando Un..